If you own a WordPress website, you should be familiar with the term Search Engine Optimization (SEO). And if by chance you are not, just know that the goal of SEO is to show popular search engines such as Google the content and structure of your website in an organized way so it can be indexed. And by indexed, I mean its ability to show up in search engine results, preferable on page one. XML sitemaps hold onto the URLs of your WordPress website, complete with recent updates and fresh new content, and lets Google know it exists. This way Google, and other search engines like Yahoo and Bing, are aware that your website exists and displays your site’s URLs in relevant search results. What Is a Sitemap and Why Are They Important? Sitemaps are files that list the web pages of your website for Google and other search engines about the content and organization of your website. From there, search engine web crawlers read this file and alert search engines that information exists. Then when someone searches for information that your website has, it displays in the search results. But do you really need to create an XML sitemap for your website? If your website is very large and contains a lot of information, Google web crawlers may overlook some important information such as new content or updated pages. If there is a lack of interlinking within your own content, listing them on a sitemap will ensure Google indexes them and displays them in search results if necessary. If there are no external websites linking to your website, Google web crawlers may never discover your website and index the content you have. Having a sitemap guarantees your website is found and indexed properly. If your website contains rich content or appears in Google News, a sitemap will help show search engines additional information. As you can see, having an XML Sitemap can be very beneficial to getting your website found and indexed by Google so site visitors can easily find the valuable content you work so hard to provide them. As with most things WordPress related, there are plenty of plugins available for creating an XML sitemap. Today we will look at a few popular ones that you can choose from, and explore how to create one for your website using one of the options. Google XML Sitemaps is a WordPress plugin designed to help you create an XML sitemap that search engines like Google, Bing, Yahoo, and Ask.com will be able to find and index quickly and easily. Supporting all page and post types, Google XML Sitemaps also handles custom URLs. In addition, you can designate portions of your website to exclude from your official sitemap and specify the priority and frequency that web crawlers should re-index your website for changes. In the end, this plugin automatically notifies search engines every time you publish new content or update something on your website. Google Sitemap by BestWebSoft automatically generates an XML sitemap for your WordPress website helping web crawlers to index your pages and place them into relevant search results. It conveniently adds to your Google Webmaster tools account and works with both WordPress pages and custom URLs. In addition, it adds a path to your sitemap file in robots.txt automatically. With a simple setup and no need to modify code, this plugin will definitely get your website’s sitemap up and running in no time. As one of the most popular SEO plugins on the market today, it should come as no surprise that Yoast’s SEO plugin can also create an XML sitemap for your website. That being said, we will look at how to create an XML sitemap using this versatile (and free!) plugin so that you can boost your SERPs immediately. 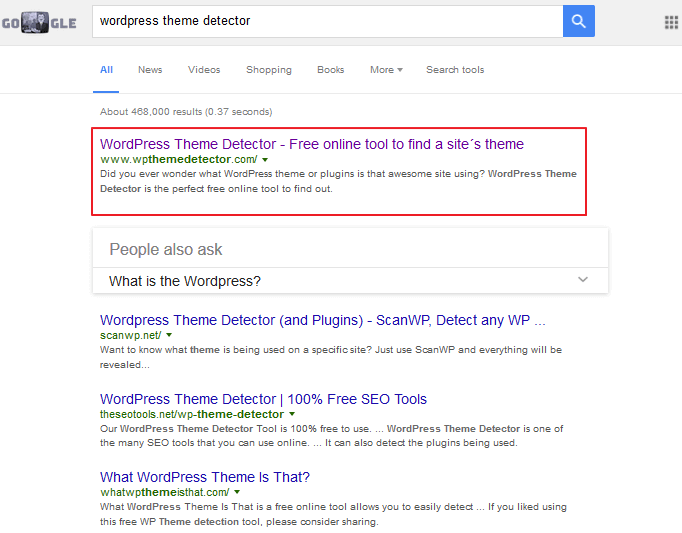 The first thing you need to do is install and active the Yoast SEO plugin from the WordPress Repository on your website. Now, although this plugin has XML sitemap functionality, it is important to remember that it does not automatically enable once you activate the plugin on your website. This is something you must manually enable for it to start working for you. To enable the XML sitemap functionality on the Yoast SEO plugin, navigate to SEO > XML Sitemaps in your WordPress dashboard. 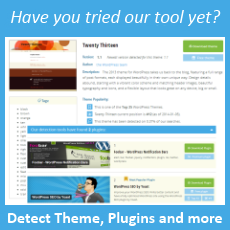 From there, toggle the tool enabling the XML functionality on your website. Here you can also configure the maximum number of entries per sitemap page you would like to include. If you are unsure about how many you would like include, simply keep the default number, which is 1000. And that’s it. Yoast SEO will now automatically create an XML sitemap for your website and continuously update it as you add new content and update elements on your website. In addition, notice the section where you can view your website’s XML sitemap. After clicking on it, you will see how many sitemaps have been created since you initiated the sitemap creation, including every time you have made an update or added new content. Remember how to access this URL because you will need it later to submit your newly created XML sitemap. How do Search Engines Learn About My XML Sitemap? In general, most search engines are aware that you have created a sitemap and index it right away. However, it is recommended that you submit your sitemap to Google itself using Google Webmaster tools to ensure that all search engines see your sitemap. 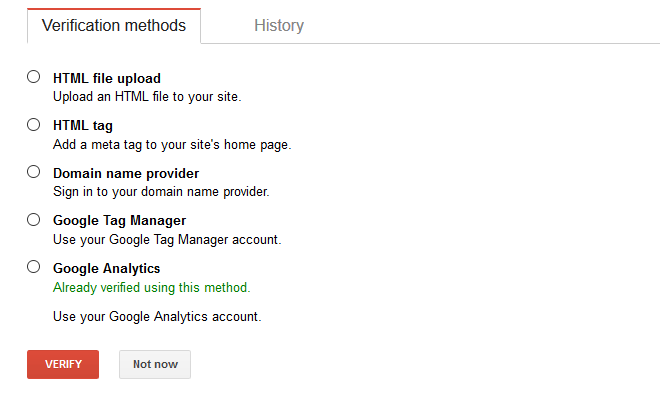 To do this, first go to Google Webmaster tools and sign in with your Google account if you are not already signed in. Once signed in, you can now access Google Webmaster tools. There you will see a button labeled “Add a property”. Click on it and add the URL of your website. Once you enter your website’s URL, you will be taken to a new screen where you will need to verify your website. Here you can verify your website using one or more of the various options. After choosing the option that best suites you, and you have verified your website, you will be notified with a congratulations message. Lastly, you have to submit your website’s XML sitemap to Google Webmaster tools. First, navigate to the tab labeled Sitemaps and select the Add/Test Sitemap tab button. Then add the URL to your website’s sitemap and click on Submit. You can then click on this submitted sitemap and get a ton of useful statistics about your sitemap such as the number of pages and images that have been submitted and indexed. In the end, creating an XML sitemap, whether through a dedicated plugin or with your general SEO plugin and tools, is important. Indexing your website’s content and updates will significantly improve how readers find your website via their search results. In addition, accessing valuable information through Google Webmaster tools will help you tweak your website to become more user friendly and searchable so that its performance in search engines improves as well. Have you ever created an XML sitemap for your WordPress website? I would love to hear all about it in the comments below! If you are an internet marketer, then you know the importance of having proper SEO tools in your arsenal. These Small SEO tools act like little magic boxes which can really help your internet marketing journey progress swiftly. I agree with you completely. Knowing how to take advantage of all available SEO tools is important for getting indexed and found amongst everyone else vying for the same attention. Thanks for stopping by WPTD and sharing your insight! Thank you so much for stopping by WPTD and reading about how to set up a sitemap for your website. I must say honestly I was not too keen on the idea of setting up a sitemap originally either when I first started my own website. It seemed difficult, confusing, and I couldn’t grasp the real need for it. However, it is easy and you are right…search engines love them. So, I say anything that helps your website rank higher is a bonus! Thanks again for stopping by, be sure to keep coming back for more great WordPress information! Thanks for sharing the excellent tutorial. I have a question for supposing I have a website which more than 1000 URL. So do I Have to create a set of XML sitemap or single XML sitemap will work? Also, If I Don’t include any sitemap on website, then Bots will crawl my site or not? 1. You can have a maximum of 50,000 URLs in one sitemap. 2. The sitemap file should not be over 10MB in size when uncompressed. 3. If you have more than 50,000 URLs create multiple sitemaps and list them in a Sitemap Index File. 4. Your sitemap index file should not cross 1,000 sitemaps. I hope this answers your question. In addition, you asked whether your site will be crawled or not without a sitemap. The answer is yes, it will still be crawled. However, websites with lots of URLs, as yours seems to have, run the risk of having some URLs missed by bots crawling your site. This leads to a non-indexing of that particular URL and will hurt that post in a search result. That’s why it is best to have a sitemap created so everything is crawled and indexed appropriately. Thanks for this great tip on xml sitemap creation. I really prefer to use the Yoast plugin as I also use it for my SEO. Thanks for the tips and thanks for sharing. Thank you for the compliment, I am glad you found this tip useful. I agree, Yoast is a very simple way to create a sitemap for your website. I think that is just one of the reasons Yoast is so popular! Fantastic article!! 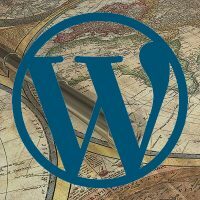 Thank you so much Lindsay for this detailed post on creating XML sitemap for WordPress. It was very helpful to me and I really enjoyed reading it. Thank you so much for your kind words. That has made my day entirely! I am so glad to hear this post was helpful to you. Good luck creating your own XML sitemap if you have not already. I am so happy to hear that this information has helped you. That’s one of our main goals here at WPTD. Good luck creating your own XML sitemap, and enjoy the higher rank results! Thank you so much for this awesome article. I am using Google Blogger since 3 years and I have just started using WordPress. You are so welcome! I am so happy to hear that you found something worthwhile in my article. 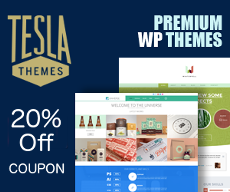 And welcome to the WordPress community. I am sure you will find it is nothing short of amazing! Thanks a lot lindsay for explaining in detail about the XML sitemap for WordPress in fact i was not interested in including sitemap to my web site yet it important to have sitemap for website to rank better in search engine’s as well as it’s one of elements that search engine such as Google, Yahoo and Bing look for to rank your site thanks once again and keep updating on this topic as I feel it is important for any SEO work. Thank you so much for stopping by. I agree that having a sitemap is super important for ranking higher in search results. And, since it is a relatively simple thing to do that can have a large impact on SEO, there really is no reason not to do it. I always create using Yoast SEO Plugin. It’s saves me a plugin. Thank you for stopping by and sharing your thoughts. I too use the Yoast SEO plugin. Not only does it provide a super easy way to create an XML sitemap, I love it for all of its SEO help. And, as you mentioned, it saves you from having to download a separate plugin. Very help full for my site thanks for share this type of post keep it up. Can you write about robot.txt?? Thanks for sharing these great tips. I highly recommend create sitemap by Yoast Seo. It ís almost the easiest way. 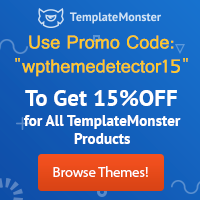 I have a question: If I change my theme, do I have to create XML site map again? Hi Lindsay Liedke, posts are very helpful to me. I’m having trouble processing the Sitemap XML. I’m searching for solutions for myself. It is very fortunate to read this article. Again thank you very much. Writing code or. It will help I have a problem about the Sitemap that I’m looking for. Thank you! Thank you for sharing this wonderful tutorial…. I have tried few plugins for creating sitemaps and I felt Yoast is one of the best option. Thank you so much for stopping by and checking out how to easily create an XML sitemap for your website. I’m glad you enjoyed the tutorial. I agree, Yoast is one of the best and most hassle free solutions. As I am a New Blogger this article helps a lot more in creating a sitemap for submitting my website to different search engines. thank you again and again for this informative article. Thanks for sharing that with the help of this article I am using always yoast plugin. yoast is well for this sitemap. I am using Google XML Sitemap plugin to generate an XML sitemap for my site. Someone can also generate an XML sitemap using the Yoast SEO plugin. I have noticed that you have mentioned the both options in your article. Yah it important article for every newbie WordPress blogger. Thanks for sharing. Its really helpfull. Sitemap is the important part of SEO and we shouldn’t neglected that. thanks for this guide 🙂 i have also created sitemap of my website now. I needed to be reminded of many things I’ve read about XML sitemaps and also find lots of new information on here that you put together. This is so important to me right now. I tried creating sitemaps using three different plugins that you mentioned but i failed. When i go to mywebsite.com/sitemap_index.xml it says http error 500. I disabled yoast and enabled again, tried disabling all the plugins still unsuccessful. Is there anything i need to change in .htacess as well? The sitemap is the key to guide the Google about all the posts and pages present on your blog. Most of the people like to generate the XML sitemap as it is easy to crawl and index by Google. I would prefer SEO Yoast over All in one SEO pack. Thanks a lot for sharing the wonderful information. Nice article. But I want to create my own sitemap with some conditions. How can I do this?